A new study U.S. National Oceanic and Atmospheric Administration reveals that July 2015 was the hottest month ever measured since records started being kept in 1880. 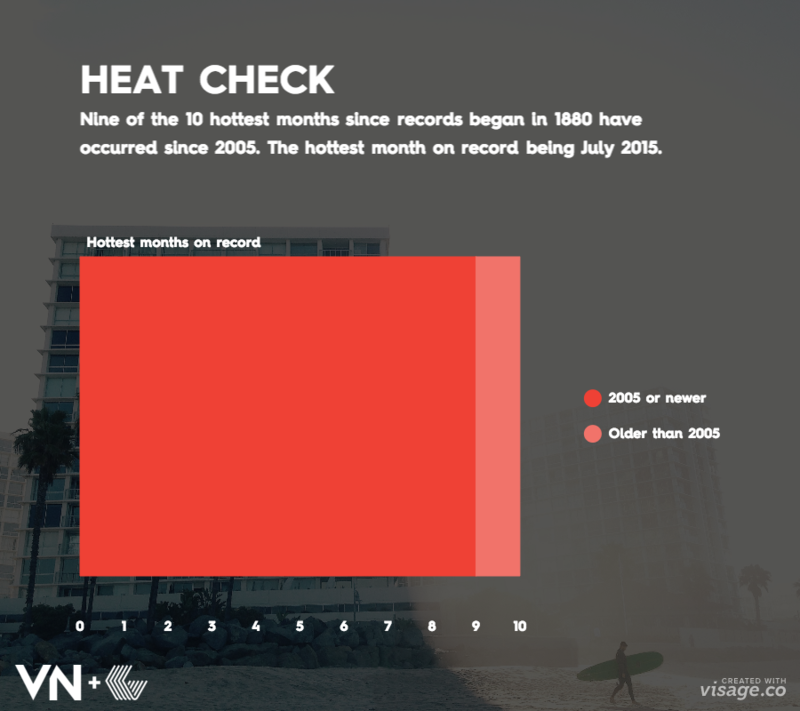 What’s even more shocking is nine out of the ten hottest months ever recorded have occurred since 2005. This year has already set record breaking temperatures and some scientists are saying that the climate change could have something to do with the El Nino weather phenomenon.